Mark Ludmon reviews Morgan Lloyd Malcolm’s Emilia now playing at the Vaudeville Theatre, London. Does the world need another man writing about Emilia, Morgan Lloyd Malcolm’s compelling story of an exceptional woman of colour fighting to be heard in the patriarchal society of the 16th century? After transferring from The Globe to the West End last week, the production has been praised by critics but, 400 years on, the arbiters of taste continue to be predominantly white men (like myself). Aside from The Stage and the Daily Telegraph, the mainstream press – as is often the case – has provided only a male perspective on the show, which is especially jarring as this is a play about women finding their voice beyond the controls and permissions of men. But I was so wowed by the original production at The Globe last August that I was keen to find out how this exuberant, visceral cry for change would fare in the smaller confines of the Vaudeville Theatre. Moving from the 1,400-capacity outdoor venue to a 690-seater indoor theatre has certainly not dimmed the show’s power. In fact, there is added punch hearing it staged by its dynamic 16-strong all-female cast in a space that last year hosted the genteel witticisms of an Oscar Wilde season. 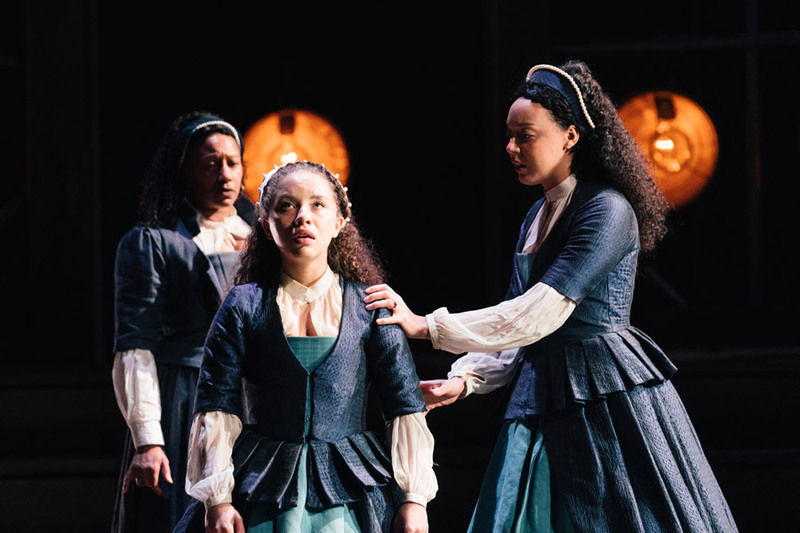 The title character herself is such a mighty force that she needs three actors to play her, with Clare Perkins returning as the older Emilia and Saffron Coomber and Adelle Leonce taking over as her younger selves – a trio of impressive performances. Like supportive sisters, they tell their story, based on the patchy historical accounts of Emilia Bassano Lanier who, according to some theories, was the “Dark Lady” muse of some of Shakespeare’s Sonnets. Lloyd Malcolm has cleverly taken what little is known of the real-life Emilia, mostly refracted through the pens and lens of men, and filled in the gaps to imagine the struggles of an independently minded female poet during the late 16th and early 17th centuries. While anchored in the past, it provides plenty of resonance and relevance for women in the 21st century, informed by feminism and the #MeToo movement. Will Shakespeare makes an appearance as Emilia’s friend and lover, again played brilliantly by Charity Wakefield with a moustache and swagger. 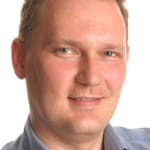 He initially appears to be her ally but ultimately he believes his greatest tribute to her talent is to pass off her words and ideas as his own. Emilia’s true allies are the women around her, and the play celebrates the strength of sisterhood. With most of the cast playing multiple roles, Sarah Seggari is charmingly funny as the young Lady Cordelia while Nadia Albina is steely but vulnerable as Lady Katherine Howard. Intimations of machismo come from Jackie Clune as the toxic Lord Thomas Howard, Carolyn Pickles as Emilia’s first lover, Lord Henry Carey, and Amanda Wilkin as her hilariously petulant gay husband, Alphonso. Director Nicole Charles leads an all-female creative team which has been joined by composer Luisa Gerstein and sound designer Emma Laxton, creating a sonic backdrop mixing traditional instruments with contemporary effects, complemented by songs drawing on the combined vocal power of the ensemble. Designer Joanna Scotcher brings elements of The Globe into the Vaudeville with a more flexible half circle of wooden steps and frames, now with lighting designed by Zoe Spurr that brings added intensity to match the high-voltage action. Just as the play champions collective action, the cast and creatives work together to illuminate a life mostly lost to history, speaking not just for Emilia but for anyone whose voice has been silenced or ignored by the dominant forces of society. 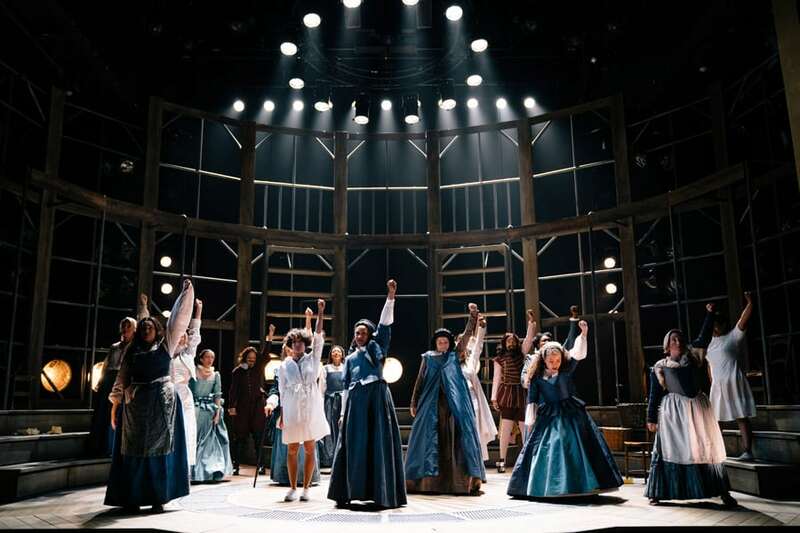 With every performance so far bringing the mainly female audiences to their feet for an ovation, Emilia doesn’t need my feedback but, in its new home, it continues to be an empowering call to arms that roars with anger and pain.